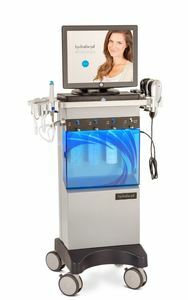 The HydraFacial is a fast, efficient treatment that takes as little as 30 minutes. There is no downtime after your Hydrafacial. Many clients see visible skin refinement and an even radiant skin tone after one treatment. It's recommended to have one treatment a month to improve the appearance of fine lines, wrinkles, brown spots, oily and congested skin. To schedule an appointment call 870-425-5464 option 2.